The parvo virus is highly contagious and is transmitted by contact with contaminated feces. This is a guide with advice when my dog has played with a dog that has parvo. 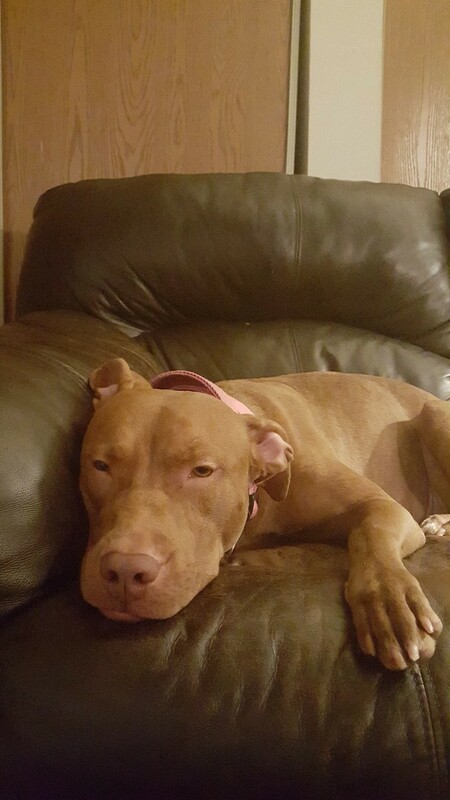 My 3 year old red nose Pit Bull played with two puppies that had parvo. One puppy died 4 days ago the other didn't, but has been diagnosed with parvo and he is not looking too good now. My Pit has had all her shots and is doing well, but should I still be worried? If I take her in before showing any signs will the vet be able to detect the virus? I am kinda worried now and the people that have this puppy keep coming over to my apartment. Yes you should not have the dog around the other dog with parvo.Tell them to leave the puppy at home until he is clear of parvo. Call your vet and ask your question - be sure you talk with someone you believe can professionally advise you about this serious virus. The first thing I would suggest is to tell your neighbor (nicely) that you would prefer they do not visit your apartment until you are sure there is no danger to your dog. Or, maybe even for a longer period of time. They should be able to understand how you feel about a situation like this. In all probability, your dog is safe but only your vet can give you sound advice in a matter this serious. Your veterinarian should be able to do a test to determine the level of immunity your dog may or may not have. From what I know your dog should be fine. But you may want to point out to your neighbors that they can carry the virus on their clothes and shoes. They need to be especially careful around other dogs, especially puppies for awhile. A bleach solution will destroy the virus. They will need to clean their floors, the puppies bedding and toys and other things the puppy had a lot of contact with. I recently found a puppy that turned out to have parvo. I gave him away to a good family looking for a pet online and they are the ones who found out. He had contact and shared the yard with my 9 month old Terrier who has been vaccinated against parvo and is not showing symptoms. However, he also had contact with my 5 month old kitten. Can parvo still be passed to my other puppy and/or kitten? Yes!! Please be very careful. I have a 4 month old Boston Terrier at the Vet clinic right now on IV antibiotics. Her litter mate died Sunday from Parvo. The vet told me that Parvo is very contagious to other young animals and to make sure that if I get another puppy to keep it away from the places that my puppy has been. She said that Parvo cannot be killed. It lives in the dirt and the air. She said that the only way to get rid of Parvo is to take up the top 6 inches of topsoil in your whole yard. Callie is luckily going to be okay, but her sister did not survive. Parvo is very dangerous. Bleach is the only thing that will kill the Parvo virus. You must wash everything down inside and out. Side walks, lawn. 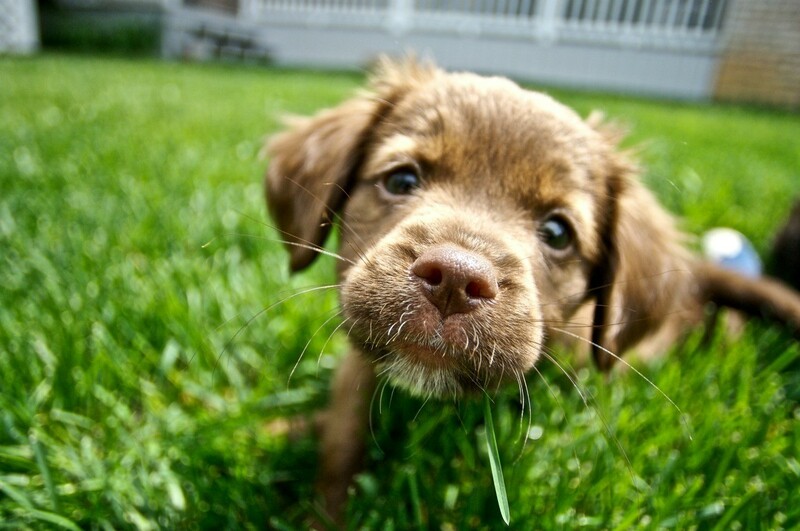 Your grass might die but Parvo can live in the soil for over a year. Make sure any new animals are FULLY vaccinated as just their first and second boosters may not have them fully immunized. That is how my 4 month old puppy got it. My adult dogs had vaccs and did not get ill. Luckily he is a huge puppy at 50 pounds (before Parvo) and after a week of sleepless nights of running IV fluids and injections, he is finally up and eating boiled chicken and rice, with some good squirts of Pedialite to help regain much lost electrolytes. I was just fortunate to catch it early and have incredible vets that showed me how to do it all so I didn't have the isolation and boarding fees along with charges for all the time and treatment. Diligence is required. I had just gotten his vaccs a week prior but the people who I got him from never had his little puppy vaccs, It is an insidious virus. BLEACH! BLEACH! BLEACH! Digging up spots of soil where the dog relieved itself WILL NOT get rid of virus as you can track it on your shoes too! You can not clean too much after Parvo. Best wishes with your next furry family member. Remember, there are many communities that have reduced vaccs and spay/neuter clinics should finances be a factor in getting your pets vaccs. (Cats cannot get Parvo but they are the source of it's origin- ironically). That is not true. You can kill parvo in your yard or anywhere in your house where a puppy or dog has had parvo. Mix 1 bleach and 10 parts water and spray your entire yard and anywhere in your house where the puppy with parvo has been the mixture is not strong enough to bleach out your furniture or your carpet. This solution will kill the parvo virus. Bleach is not the only thing that will kill parvo. There are several cleaners that kill parvo virus including Roccal-D.
My dear dog, Allie, passed away last night because she didn't recover from her bout with parvo. My other dog, had not had its shots, but I immediately went and get her a shot after we found out about our other dog. Will my dog be okay? I'm really scared and nervous. I would discuss this with the vet. You must meticulously clean all surfaces the affected dog came in contact with using a bleach solution. Parvo can last up to a year outside, so you might have to keep your puppy inside if the other dog went outside. When a dog is exposed to Parvo it can take a few days for the dog to show symptoms. You will need to watch your dog carefully for the next few days. If your dogs starts to vomit or have diarrhea get him back to the vet immediately. Parvo is dangerous and highly contagious. I would also ask my vet to do a Parvo test on the dog. The vet can do this in the office and it doesn't take long to find out the results. Here on the island we have a lot of very sick animals right now with Parvo. I always keep my dogs shots up to date. I immediately take any puppy to the vet at 6 weeks and start their shots. You do not say how old your other dog is but the younger puppies are more at risk. You say you immediately went and got her a shot - was this with her vet? You did not tell them she had been exposed to Parvo? I hope you did inform them because your puppy could have carried the virus to the building/office and the vet should know about it. Please call and discuss this with your vet as your dog will have to be closely watched for symptom signs so proper care and medication can be started and maybe save this dog. Please never carry a dog to visit a vet if they have been exposed to a contagious virus without informing the vet as they have to take precautionary measures before your visit. Here is some info: Dogs that have direct or indirect exposure to the virus are highly likely to contract it and continue the spread and growth of the virus. When an uninfected dog licks itself or makes oral contact with an item or area where the virus has contaminated, the dog will become a new host. The virus can begin to affect your dog in as early as 24 hours and the younger the dog, the higher the risk. You should be in the process of cleaning all surroundings (inside and outside, auto) even if your other dog does not contract this virus. Here are a couple of web sites that give lots of information about Parvo and steps to take. The information is long (lots of reading) but everyone with a puppy should be informed about this terrible sickness. Are my dogs that are 1 and 2 years old at risk if I recently had a puppy die of parvo? If you have kept up with your dogs shots and kept them vaccinated then you should be fine. Normally, you see signs of a dog being sick within 48 to 72 hours, at times it is much quicker that you'll notice the dog not eating or throwing up. The Parvo vaccine should have been in the cluster of shots. They are routine. I would keep a close eye on your pup. Go to work, and have a neighbor check in on him once or twice. If your dog had all his vaccinations up to date, there is no reason why he should get sick at all. If you are still unsettled, phone your vet and ask them this question. They should be able to put your mind at ease. I was so happy to read that your dog was vaccinated. It is so much cheaper to vaccinate than treat parvo. Treatment runs into the thousands, with only a small chance of survival. Your Boxer should be fine as long as his initial vaccination was boosted a month later, and he was healthy at the time of both shots. Some people like to have a third booster, just to ensure immunity, particularly in high parvo-incidence areas. You need to scour your yard for poo. If sick puppy pooped in your yard, the virus will be in your soil (for up to a year). While this should not affect your Boxer who has immunity, any other dog coming into your yard will be at risk. You and your dog can also track it out of the yard and infect the neighbourhood. I think you will be one of the fortunate ones and you made your own luck by vaccinating your pet. Parvo is a deadly awful virus that is highly contagious especially among puppies under one year old or dogs with not so up to par immune systems. Parvo is transferred through urine, feces, and saliva of an infected dog. Some one on this list said that it comes from puppy mills and dogs coming in from Mexico, although it is more likely to see the disease in these conditions this is a very misleading statement you can get parvo "anywhere"! I recently purchased a beautiful well bred puppy from a very reputable breeder and he came down with parvo unbeknownst to her. He had picked it up at the vet when receiving his health certificate to fly. The vet used an unsleeved thermometer that we are almost sure had just been in an infected dog. Not bashing vets, as I adore my vet, but if you think about it, a vet's office is almost a sure place to pick up parvo as you can be sure that sick dogs have been there for treatment meaning the virus is there somewhere! Now don't panic and "do take your dogs to get vaccinated" or if you vaccinate yourself "do it, do not put it off for any reason"! Use caution, keep your pet in a carrier even if it is inconvenient for you, it is a barrier of protection for your dog. Don't let people touch your dog while at the vet, kids especially are not thinking about transferring diseases and innocently always want to pet other animals. I don't care if people think I am a snob, it's my dog and I have the right to say kindly "Please do not touch my dog, thank you!" Vets that use proper sanitation and cleanliness practices are the safest, but "it's still present"! When you take your puppy in to be vaccinated be sure to ask them to clean the table in front of you so you know it has been cleaned. Be sure they use a "clean sleeved thermometer"! Have them clean any surface, including scales and or any kennels they may place your dog in front of you. If they get offended, find another vet! They should be as concerned about your pet's health as you are! Do not take your dog to places like parks, pet stores, or beaches until you know that your puppy is FULLY vaccinated! This will help to lessen the chance that your dog will get ill. Vaccinations do help. I have 2 dogs that were fully vaccinated that came down with parvo after being infected. They made a very speedy and remarkable recovery, but we also lost 3, one who was not fully vaccinated due to another health issue and one who was only 11 weeks old and was not old enough to have all her vaccinations, as well as, a 5 1/2 week old who just ever had a chance, vaccination wise. If your puppy gets sick take it to a good vet! This will insure their best chance of survival. They are trained and have staff round the clock and know what they are doing and you would become exhausted because they need 24 care. My vet was been awesome through all my trials and tribulations through this nightmare. My vet and their staff have also been a great source of encouragement and comfort. Be sure to check out all the vets in your area before you get a dog to see how they do things in their office and what their average prices are for routine treatments. Some vets are more reasonable than others, but you know what they say about getting what you pay for. Money should be the deciding factor in choosing a good vet. Talk to clients and find out how they like this vet and why. You can preventatively treat puppies exposed to parvo with Parvaid. It is known to prevent 90% of exposed dogs from coming down with parvo.